Product Cartoning Services | Tenco Assemblies, Inc.
At Tenco Assemblies, Inc., our services are extremely versatile. We operate several cartoning lines and can accommodate just about any size or type of product. With our capacity to fill up to 140 cartons per minute, we offer fast turnaround and support projects with tight deadlines. We handle just about any glue-style or tuck-style type of carton as well as five-panel designs. 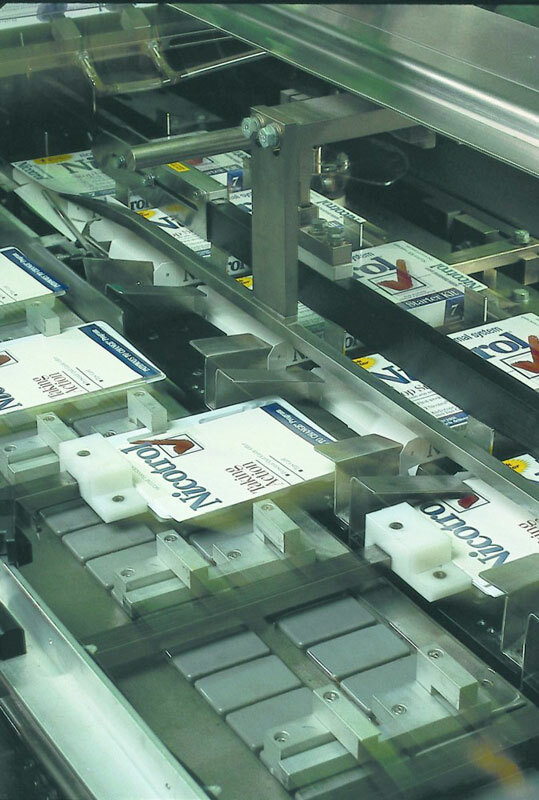 Our cartoning equipment can be used stand-alone or integrated into a high-performing packaging line that includes options such as pick-and-place robotics for kit assembly, ink-jet coding, labeling, and finished carton bundling. Folding cartons are a familiar type of retail packaging and with our cartoning capabilities; we ensure your products have a professional, consistent quality appearance. We specialize in cartoning consumer healthcare items, OTC medications, cosmetics, and electronics, and we are qualified to handle non-narcotic prescription drugs such as solid-dose medications, pain-relief patches, dental products, and others. Our facility is FDA registered and our inspection systems comply with cGMP and ANSI standards. As your global packaging partner, we provide cartoning services for products manufactured outside of the United States that require a domestic packaging source before distribution. By investing in the right equipment, we have the capacity to fulfill the requirements of your application quickly. The versatility of our equipment allows us to provide customized cartoning solutions geared specifically for your product. We are very organized, efficient, and have an unwavering commitment to providing the level of quality and service you deserve. For more detailed information about our cartoning services, contact us today.